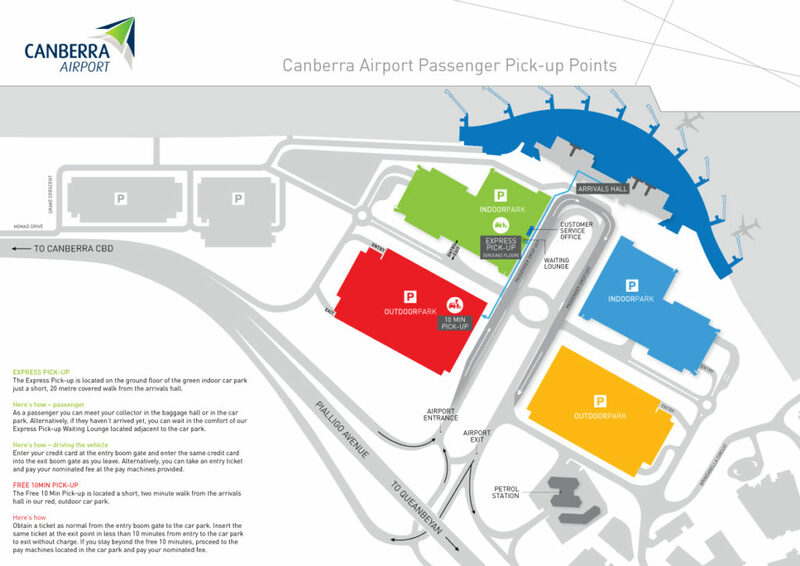 Canberra Airport offers convenient parking options within close proximity to the terminal building. The carparks open at 4am each day and close 30 minutes after the last flight arrives or 30 minutes after all international passengers have been processed (whichever is latest). There are designated disabled car park spaces in the indoor and outdoor car parks. The customer service team can be contacted on 02 6275 2226 for parking and access related enquiries, including requests for special assistance or a wheelchair. For terms and conditions, view the Conditions of Entry and Limitations of Liability. Rates effective as at 1 July 2018. Our indoor long stay car park specials are only available for purchase from the Customer Service Office, not at pay stations or entry/exit gates. Park in your preferred indoor car park (GREEN or BLUE), take an entry ticket at the boom gate and catch your flight. 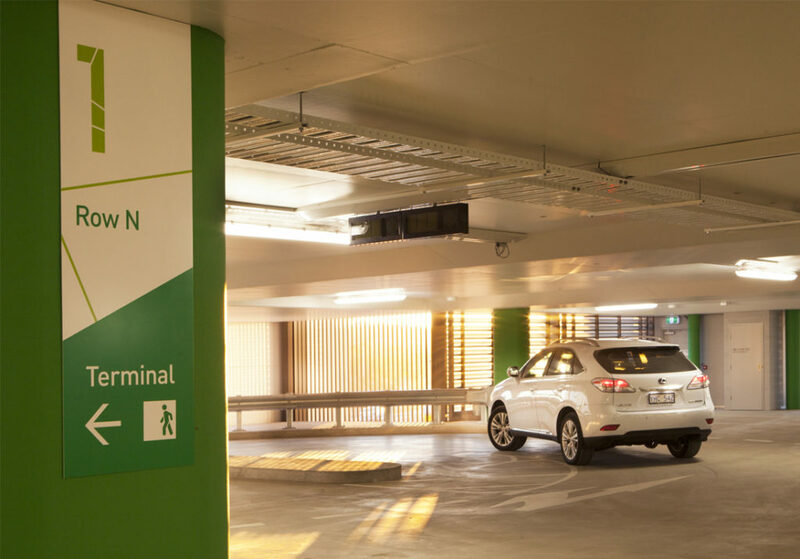 On your return to Canberra Airport, directly prior to exiting the car park, present your entry ticket to the Customer Service Office located on the ground outside the GREEN multilevel car park. Please note long stay products are not available or payable in advance. Park at the terminal from Friday night through to Sunday for just $35! Enter the outdoor car parks after 3pm on Friday and exit before closing on Sunday. Valid every weekend, RED and YELLOW outdoor car parks only. Outdoor capped pricing. Park for up to 6 weeks for just $165. After 6 weeks (42 days) then +$5.00 per day. Valid in RED or YELLOW outdoor car parks. Are you picking someone up from the airport? You are welcomed to use our Free 10 Minute Pick-up located in our RED outdoor car park, a two minute walk from the arrivals hall. Park for free for 10 minutes. Normal outdoor parking rates apply beyond 10 minutes. View map to see location for the Free 10 Minute Pick-up parking bays. NO CASH, NO TICKET, NO FUSS: On entering the car park, simply tap or insert your credit card at the entry boom-gate instead of taking a ticket. When leaving the car park, tap or insert the same credit card, a receipt is provided and the boom-gate opens for you to exit. Visa, Mastercard, American Express and Diner’s Club are all accepted. If you expect your fee to be more than $100, or you are using American Express or Diner’s Club cards, please insert your card instead of tapping to pay. If you would like to pay with cash, please take a ticket upon entering at the boom-gate and pay at the pay machines before exiting the car park. The pay machines accept all coins except 5 cent coins, and all notes except $100 notes – change is given and receipts can be issued by the pay machines. Your paid ticket will allow you to exit the car park.